Our philosophy at Grey Owl has always been to provide the paddling public with innovative, durable and affordable products. We are pleased to have carried this idea over to include our racing canoe paddles. Obviously it has been, and continues to be, a successful formula as proven by the number of championship races that Grey Owl Paddles have won. 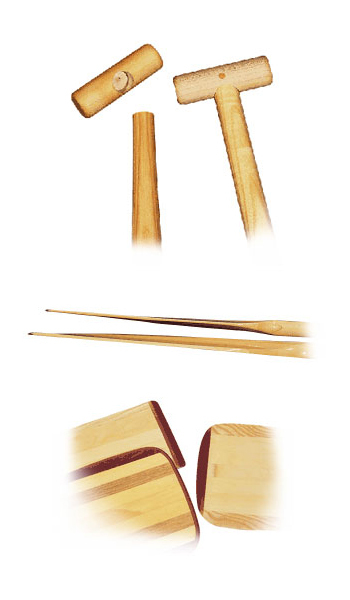 One of our most significant and original ideas includes our form-bent, laminated, multi-ply shafts. All shafts are oval in design to give a positive blade orientation and comfortable feel. Another feature is our T-grip sizing capability, that allows the shaft to be cut and glued at any length within its range. We also offer a pre-sized factory installed grip which includes a dowel pin that guarantees the grip will never loosen. Our dihedral or “cambered” blades give a smooth and turbulent-free stroke while providing maximum thrust and minimum slippage. The blades are protected with hardwood edges and a urethane plastic tip that can be sharpened to a knife-edge for a clean and quiet entry. While the oiled maple T-grip provides a comfortable, blister-free grip, the paddle is coated with a polyurethane varnish to ensure a beautiful and long-lasting protective finish. Only the finest woods, glues and other materials are used to deliver a superior product to you.